One of my favorite things to photograph when in New Hampshire, are the reflections along the Swift River. This was taken this afternoon as Dan and I were scouting for our group coming in on Monday. They are going to love this location! Oh this is GORGEOUS! It makes me want to pull out my paints! I LOVE this image John! Fabulous! I love the flow & the metallic look of the water and the reflected fall colors are subtle but rich! Perfect shutter speed, light & composition. Well crafted! 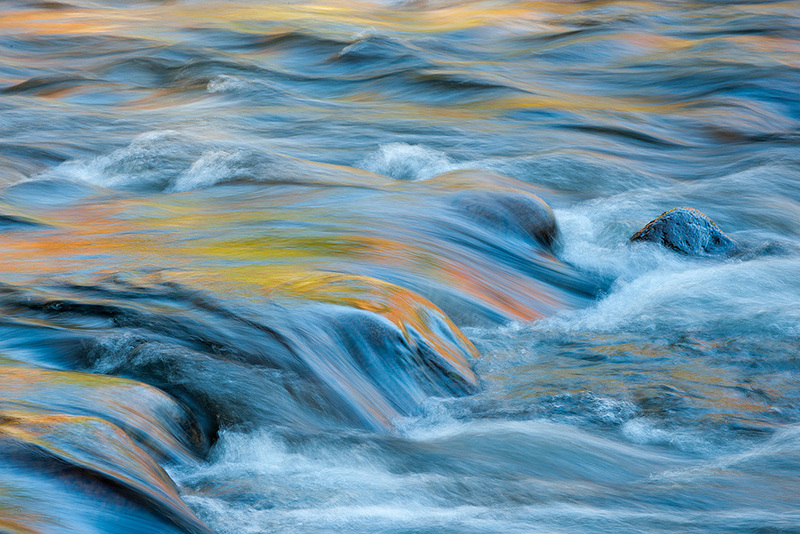 Wonderful colors and movement of water. I am going to NH next week. How is the foliage looking? Foliage looks GREAT! Should be peak mid week. A gorgeous stream, with fall colors… how can you beat that? Wow, great color. Wish I was there. Also, wish you could have been at the Lace Mill today – great time there. Been there, done that. Wish I was there with you.